If you’re new to digital scrapbooking you might still be trying to figure out just what all these different digital scrapbooking kits are, what’s in them, and what you can do with them. We often get asked, “What’s the difference between the different collections?” If you’ve been wondering that too, you’ve come to the right place! 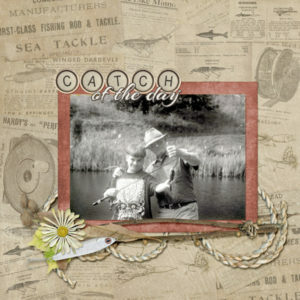 At Scrap Girls our digital scrapbooking kits are called “collections”. These are available in several different sizes, each of which are standardized to include the same number of pieces for the same price. So, no matter which designer’s supplies you purchase you will always get the same about of products. Below is a list of each type of collection you’ll find in our store, plus an example and a little explanation of what the collection contains. We’ve described them in order of smallest to largest. 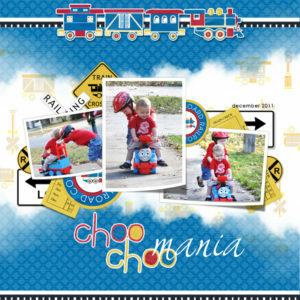 A Zip Kit is our smallest kit containing just one background, one word art, and three embellishments. 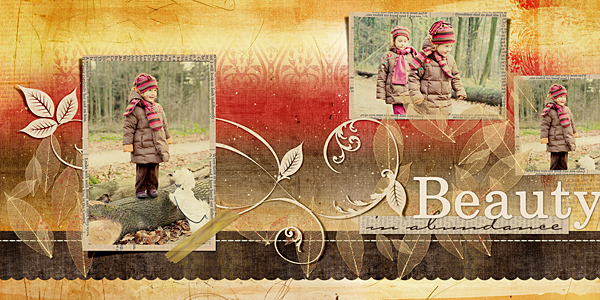 Our Nano Kits contain three backgrounds and a half of sheet of embellishments. “JIF” stands for “Just Insert Foto” – and JIF kits contains one paper, one word art, and four embellishments. 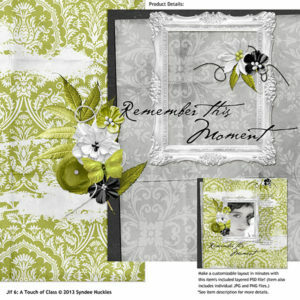 These kits also include a finished layout in .psd format which you can simply open, add your photo and journaling, and save. This options allows you to create a layout in a jif! The JIF Plus is an expanded version of the JIF 6. 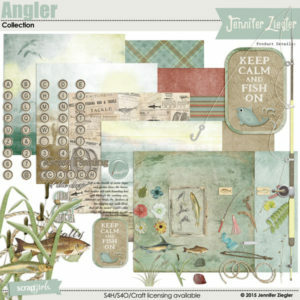 These kits include 3 papers and a sheet of embellishments and word art. A JIF Plus kit will also include an already completed layout in both .psd and .png form so you can create a layout in just minutes. These kits will make two complete pages, thus a double-page “spread”. Each collection includes seven pieces: two papers and five additional pieces (a combination of word art and embellishments). These items are designed to work together to make a double-page layout, plus you also get a .psd file of the finished layout. 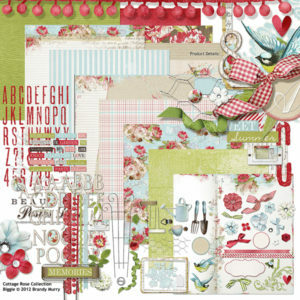 These small kits contain three papers and one page of coordinating embellishments and word art. In a Collection Mini, you’ll get six papers, one page of coordinating embellishments, and one page of word art. 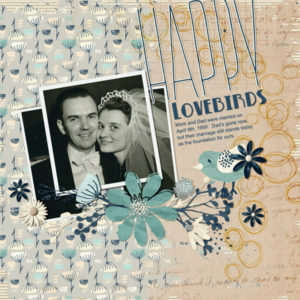 A Collection contain ten papers, two sheets of coordinating embellishments, and two sheets of alphas and or word art. The Biggie is our largest kit containing 16 papers, three sheets of coordinating embellishments, and three sheets of alphas and or word art. These are special collections designed by the whole Scrap Girls design team, or a couple of designers that have joined together to create a unique kit. All images included with a Scrap Girls digital scrapbook collection are JPG or PNG files at 300 pixels per inch (ppi) – which is the industry standard for printable images. PNG files have transparent backgrounds which is typical for embellishment-type files, because it allowing them to be layered with drop shadows to create realistic digital scrapbook pages. 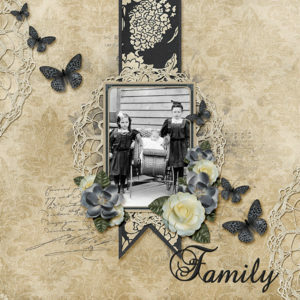 Papers, alphas, and embellishments can be printed for use in traditional paper scrapbooking or they can be used digitally in software programs such as Photoshop. 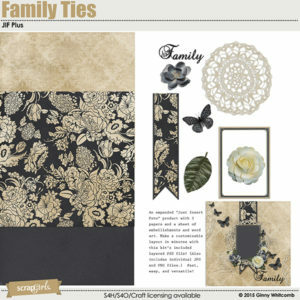 Creating scrapbook layouts digitally allows you to have the best of both worlds. 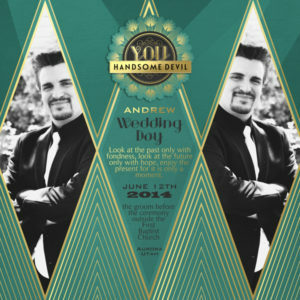 You can print out your layouts in 12×12-inch or 8×8-inch format (either at a professional printshop or at home) and you can email your digital layouts to family and friends or share them with the world on social media. Background papers are sized 12 x 12 inches at 300 ppi. Embellishments, word art, and alphas are delivered both as individual images as well as composite 8.5 x 11 pages at 300 ppi. These composite pages are set up to for easier home printing and can also be used with your software’s Selection Tool to move parts onto a layout. 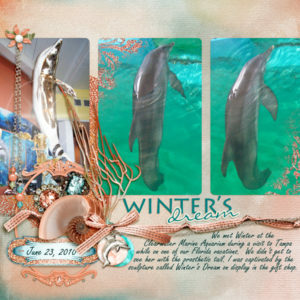 The beauty of digital scrapbooking kits is everything is coordinated for you to make multiple layouts. 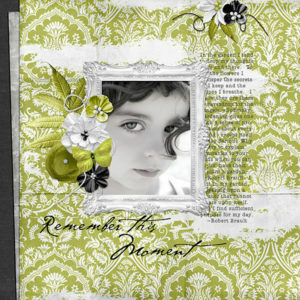 You can use digital papers and elements over and over again because they never get used up, wrinkled, or torn. You can even adjust the color to make an element match your photo.